Many businesses think of operational efficiency as a way to reduce costs. For trucking companies, reducing costs is always top of mind; however, successful organizations also understand that operational efficiency depends on safety and productivity. Safe, productive, and efficient operations require top-quality equipment, expedient systems, effective procedures, and most importantly, engaged drivers and non-drivers. For engaged drivers and non-drivers, it’s not just about getting the paycheck and punching the clock, it’s about pride and ownership in the organization for which they work. Engaged employees and contractors accept responsibility for helping you create a successful company. How do these employees and contractors make a difference when it comes to improved safety and increased productivity – the keys to your company’s operational efficiency? An engaged driver- one who wants to help his or her company reach its goals -understands the importance of being a safe driver. They take personal responsibility for ensuring safety standards are met. They have fewer accidents, not as many moving violations, and they’re less likely to fail inspections. Similarly, operations employees and mechanics with high engagement levels will put more effort into their work to ensure every aspect of your operation is as safe as possible. These employees are more likely to communicate if there’s a problem and they’re invested in finding a solution. Like the driver who holds him or herself accountable for meeting safety standards, the engaged mechanic accepts responsibility for the work he or she performs. If an employee or contractor is satisfied with his or her job they meet expectations, but may not be willing to put in much – if any – extra effort. That’s why an engaged employee or contractor, someone who is invested in the organization and who wants to contribute to your company’s success, makes all the difference when it comes to increasing productivity. Engaged drivers are better drivers and are motivated to achieve better MPG. When drivers are invested in the results they achieve, they’re also more likely to have better on-time performance. In the shop, you’ll find engaged mechanics looking for ways to maximize the time they have to work on trucks, rather than simply doing what’s required or checking a box. 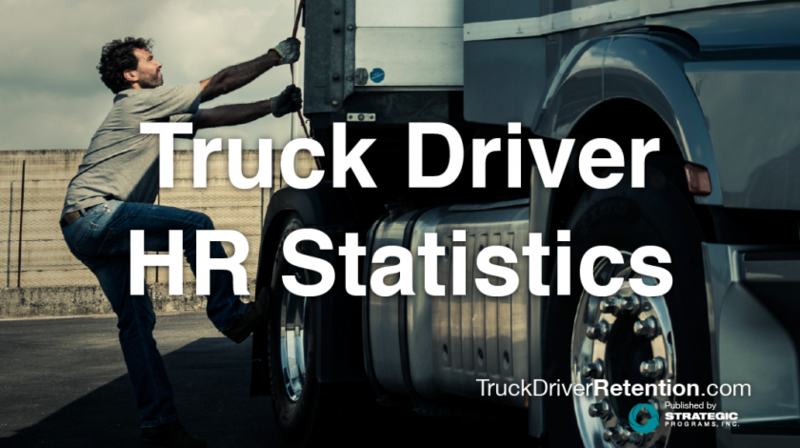 During exit interviews and in survey results, a common driver complaint is around equipment shortages. The story may sound familiar: a driver needs to pick up a trailer for a load, but when they arrive, the trailer is broken. Or it has a flat tire. Or an empty isn’t even available for several hours. These conditions waste fuel, time and productivity. And, as the workforce intelligence we’ve gathered shows, equipment shortages also negatively impact driver engagement. Proactive trucking companies handle the equipment shortage issue in various ways. We’ve seen some organizations hire an asset manager who serves as a communication conduit between customers, fleet managers, and drivers. Other companies are using internal apps to identify and resolve issues around equipment shortages. Another client created a way for drivers to use social media to let other drivers know the location of an empty trailer. Not only does this help with operational efficiencies, it also creates a “pay it forward” mentality among drivers who are helping one another get their jobs done more effectively. In each of these situations, the companies identified a problem which made work more difficult and ultimately detracted from engagement levels. Rather than dismissing the problem, these organizations worked to resolve the issue and they saw operational efficiencies increase. If you want to engage your employees and drivers, ask questions, then listen to their answers. Find out what they need. If you’re observant, you probably already have some ideas about the engagement levels in your organization – do people follow safety guidelines and look for ways to increase their productivity? Or, do you spend half your day dealing with customer complaints, addressing CSA violations, and following-up about late arrivals? Workforce intelligence based on objective and actionable engagement feedback will provide you with powerful, impartial insights about the factors that keep your safest drivers and safety-conscious mechanics engaged with your organization. All of the above factors — poor supervision, limited training, or lack of communication in the workplace – made drivers leave. On the other hand, factors such as development opportunities, benefits, or strong leadership might entice someone to stay. If survey results indicate that your highly engaged workers appreciate receiving recognition for top performance, you might consider ways to increase the opportunities to celebrate employee achievements. A little pat on the back can go a long way. Use the workforce intelligence you gather to help maintain – and increase – engagement levels across your entire organization. As your engagement numbers increase, so will your results when it comes to improving operational efficiency. When drivers are committed to your organization, they’re more likely to create safe, productive, and efficient operations. 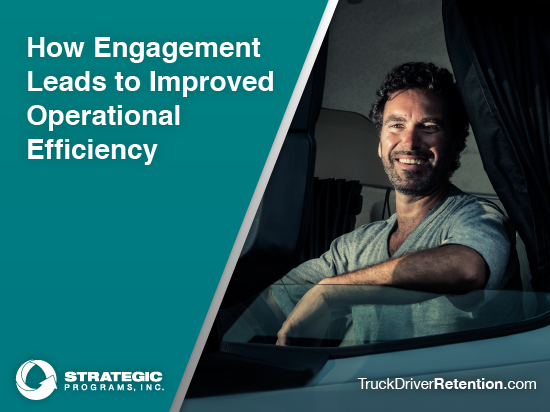 In conclusion, as you’re looking for ways to deliver results and increase your operational efficiency, don’t forget to consider the impact engagement has on your organization. You may have the best equipment, systems and procedures in the industry, but without an engaged workforce, you won’t be able to maximize your operational efficiency. Measure, maintain and increase your company’s engagement levels and you’re sure to see your operational efficiencies multiply.